It didn’t take long for Johnny Walker to get his wish. After Ovince Saint Preux’s injury forced him off of the UFC 235 card for March 2nd, Johnny Walker volunteered to make the swift turnaround to face Misha Cirkunov at the event. And according to an MMA Fighting report, Johnny Walker will get exactly what he asked for. 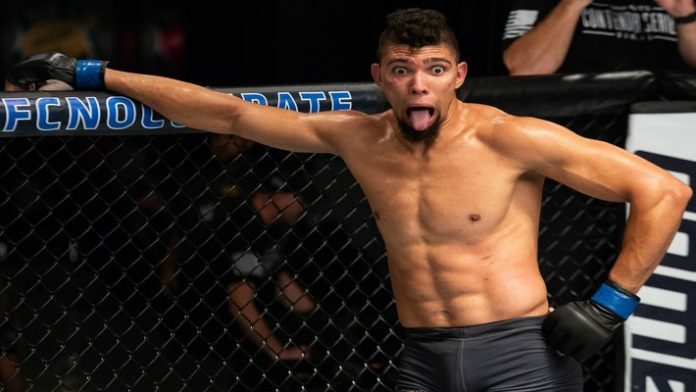 Johnny Walker last competed only 10 days ago at UFC Fortaleza, where he soundly vanquished Justin Ledet in only 15 seconds. And exactly one month later, he will return to competition to look to improve his UFC record to 3-0. As the saying goes, when opportunity knocks, answer the door. Johnny Walker now has an opportunity to win two fights within one month and most likely find himself in the UFC lightweight rankings if victorious over #14 ranked Misha Cirkunonv and the victor of three consecutive UFC fights. Misha Cirkunov was expecting a veteran in Ovince Saint Preux, he will instead receive one of the hottest new prospects in the light heavyweight division. Cirkunov has lost two of his last three fights but is most recently coming off an impressive victory over Patrick Cummins last October via first-round arm-triangle choke. Not too long ago it was Misha Cirkunov who was considered the hottest prospect in the light heavyweight division. A victory over a new candidate for that honor in Johnny Walker would do well to reinstate Cirkunov for considerations for that moniker. Who’s your pick for this light heavyweight bout between upstart Johnny Walker and Misha Cirkunov?